This is a lovely bracelet that would look wonderful with the emerald pear shaped drop earrings and/or the emerald pear shaped drop pendant! 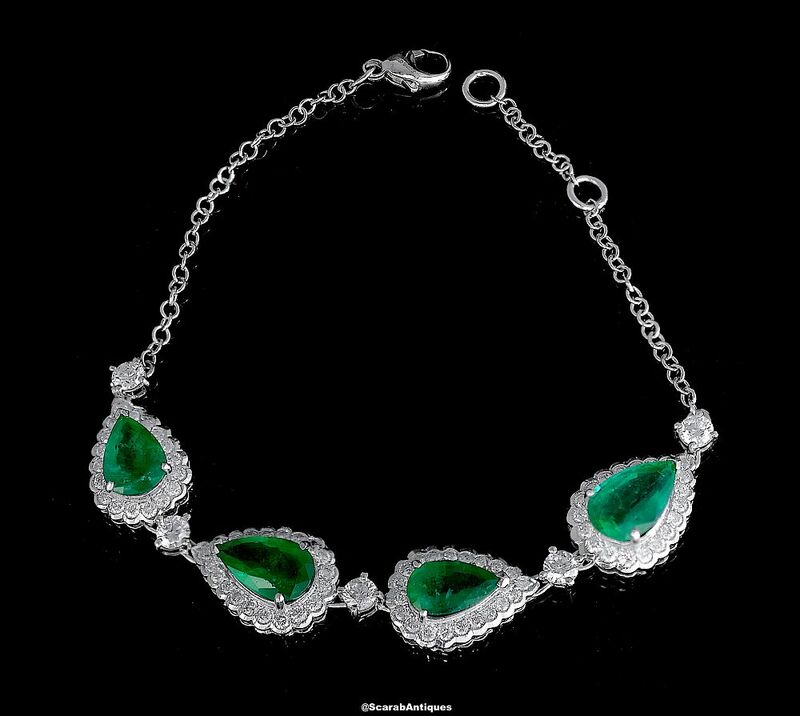 The 18ct white gold bracelet consists of 4 pear shaped emeralds claw set in diamond set surrounds. Each pear shaped section is connected by 18ct white gold links in the middle of which is a round diamond. The with 18ct white gold chain is fitted with a shortening ring.